Captivating audiences for more than 25 years, the Wichita Grand Opera is known for its excellence in producing grand opera performances and opera education programs for all ages. As one of only 110 operas in the country, Wichita Grand Opera delivers top-notch productions and international artists. Each year promises an ambitious lineup and this year is no different. Kicking off the 2017-18 season with a marvelous performance of “Madama Butterfly,” the Wichita Grand Opera welcomes an incredible list of must-see performances. Coming home for Christmas, Wichita native Chris Mann will deliver an awe-inspiring performance with the Wichita Grand Opera Chorus, Children’s Chorus and Orchestra. This former NBC “The Voice” runner-up just completed a 700+ performance national tour as Andrew Lloyd Webber’s personal choice to play the classic “Phantom of the Opera.” He will perform in Wichita on Dec. 9, 2017. His angelic voice will resonate in the Century II Concert Hall as he belts Christmas favorites alongside Kaitlyn Costello (mezzo-soprano), the Rose Hill High School Choir and the Wichita Community Children’s Choir. World-renowned maestro Steven Mercurio will conduct the performance. A classic love story-turned-tragedy takes the stage as the Wichita Grand Opera brings Verdi’s “La Traviata” to life on April 7, 2018. When an upstanding young man falls for a woman with a shady past, his family becomes angry. In a selfless move to protect his reputation and his relationship with his family, she walks away. Eventually, the two come together for a bittersweet reunion in one of the most popular and heartbreaking operas you’ll ever see. Come check out up-and-coming opera stars Larisa Martinez, who plays Violetta, and Aaron Blake, who plays Alfredo, as they pair up as a vocal powerhouse in this timeless production. Eugene Kohn will conduct this performance. 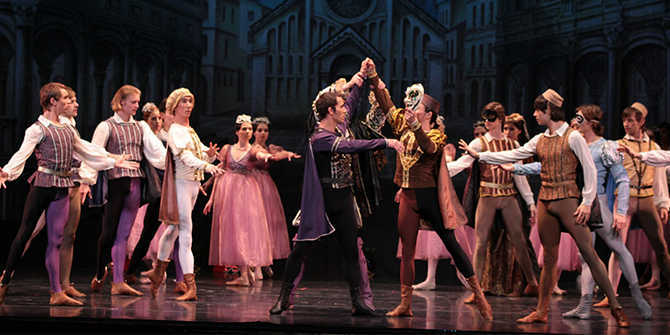 An operatic twist to a traditional fairy tale, Russian National Ballet Theatre brings Prokofiev’s “Cinderella” to the stage as her stepmother and evil stepsisters drive a wedge between her and her father. As tensions rise in the family, Cinderella begins to wish her life were different. After meeting her fairy Godmother, Cinderella is given a pair of beautiful glass slippers and a brand new gown. As the story goes, she has until midnight to live as a princess before her dress turns back to rags and her stagecoach returns to being a pumpkin and four lizards. Cinderella meets and falls for her prince, but is forced to leave prematurely as the clock strikes midnight. He finds her glass slipper, which she lost as she was running away, but in this tale, will the prince find his long-lost princess? Or will this story end in tragedy? Don’t miss this show to find out. Composer Sergei Sergeyevich Prokofiev is a famous composer known for works like the ballet “Romeo and Juliet,” and “Peter and the Wolf,” as well as five piano concertos, nine sonatas and seven full symphonies. Marianna Chemalina plays Cinderella in this magical piece and Konstantin Marikin plays the prince. The performance happens on April 29, 2018. The Wichita Grand Opera is just one of several performing arts organizations in Wichita. To learn more about live entertainment in the city, click here.